“Thicker is better” is the theme of the Convertible Solutions display in booth 1178 at the Print13 conference at McCormack Place South in Chicago on September 8th through the 12th. 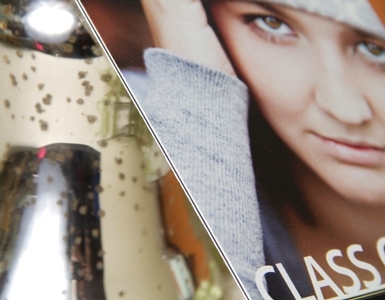 MultiLoft stationery, Double Thick postcards and Panoramic photo books are several of the specialty paper converter's stocks that demonstrate the visual and tactile impact of thick and ultra-thick printed materials. MultiLoft cards invoke memories of the letterpress era. 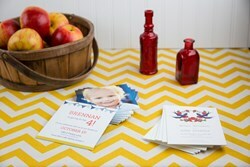 Thicker cards stand out and invoke a deeper emotional response than thinner cards. Print13 is North America's largest exhibition of equipment, materials and services for printers and imaging companies. Convertible Solutions will be one of 550 companies exhibiting at the five day event. Convertible Solutions will be showcasing their MultiLoft stocks which allow the creation of luxurious, ultra-thick cards and stationery on a standard digital press. 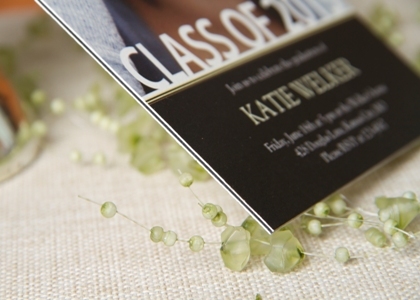 The stock features a rich eggshell finish that invokes memories of the letterpress era. To solve this printing challenge, Convertible Solutions designed the MultiLoft stocks to run through standard digital presses. Each sheet is 17 points thick with pressure sensitive cohesives on the back. After printing the front and back of each card on separate sheets, the front and back sheets are assembled back to back. The pressure from the trimming clamp seals the sheets together into an impressive 34 point card. After assembly, the sheets can also be die-cut into specialty shaped cards. Convertible Solutions will also demonstrate MultiLoft Triple+ inserts which have cohesives on both sides and can be placed between the MultiLoft sheets to create a 51 point triple thick or a 68 point quadruple thick card. The Triple+ inserts are available in White, Black and Red. In addition to the MultiLoft card stocks Convertible Solutions makes a full line of pre-converted stocks for envelopes, mailers and specialty items for printers serving the direct mail, photo imaging and social expressions industries. For more information visit http://www.ConvertibleSolutions.com .